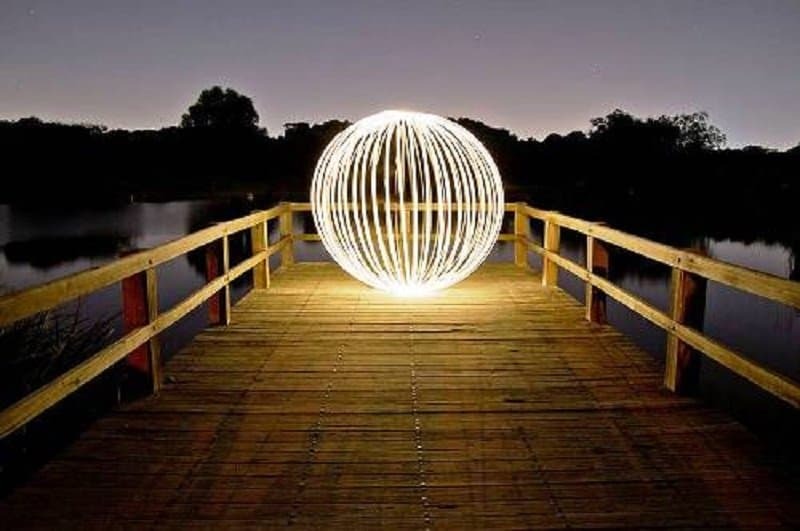 A stunning ball of light that feels like it is revolving. 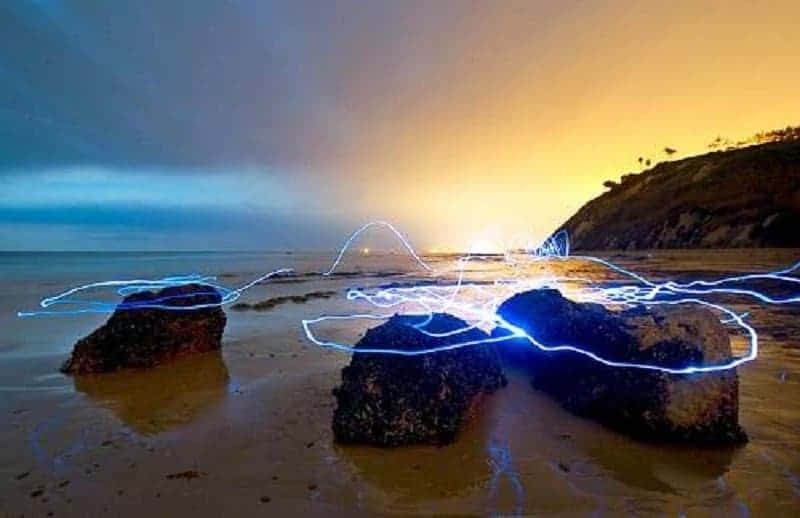 A long exposure shot allows this artist to capture a massive blue trail across this beach. 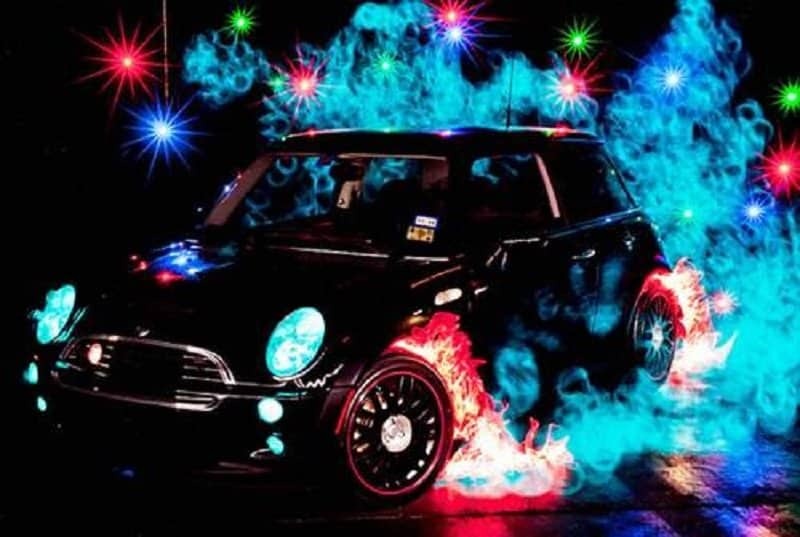 The surrounding lights and a special light trail on the wheels brings this sporty car to life. 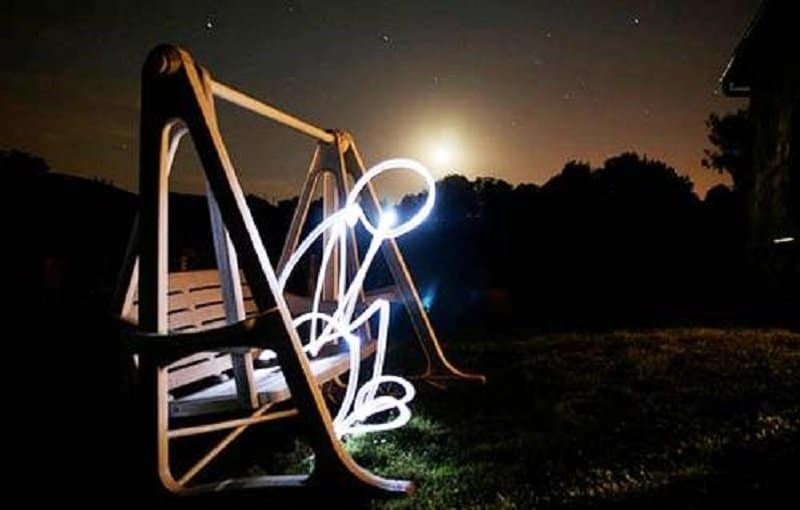 This quickly drawn light figure resembles a man thinking about his life. Its almost as if he feels hollow inside. 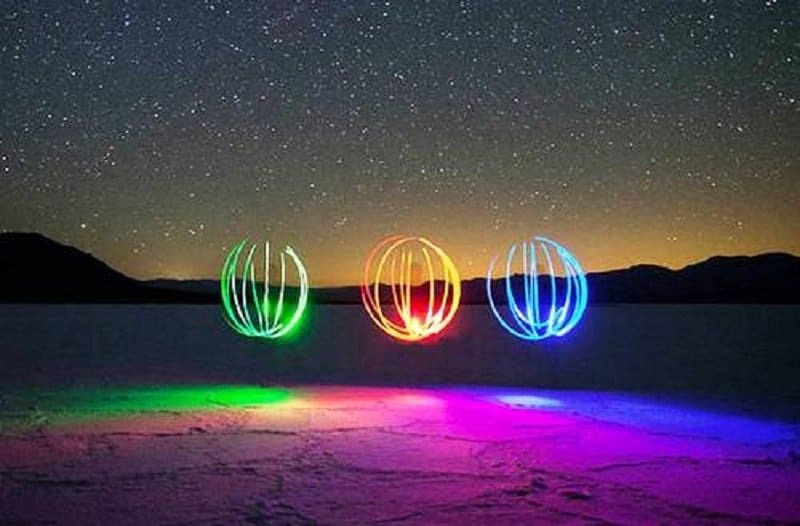 Three separate and colorful light sources are twirled in a unique way to create a masterful piece. 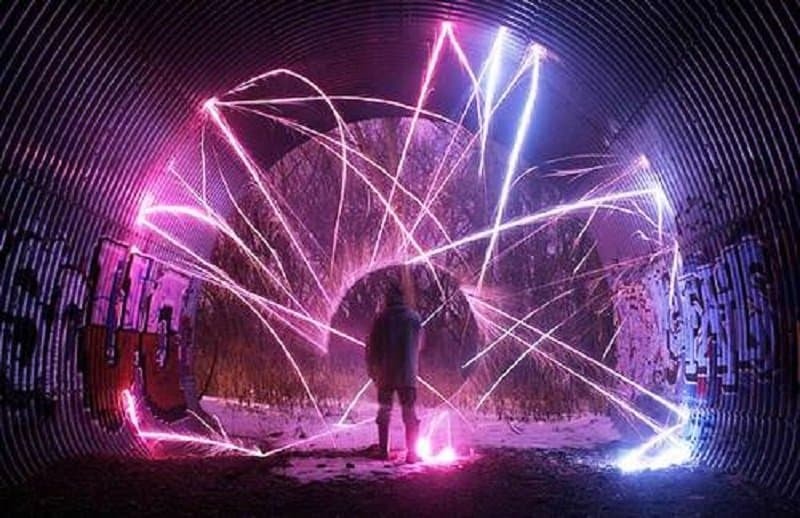 A unique light painting that is funny and well-made. 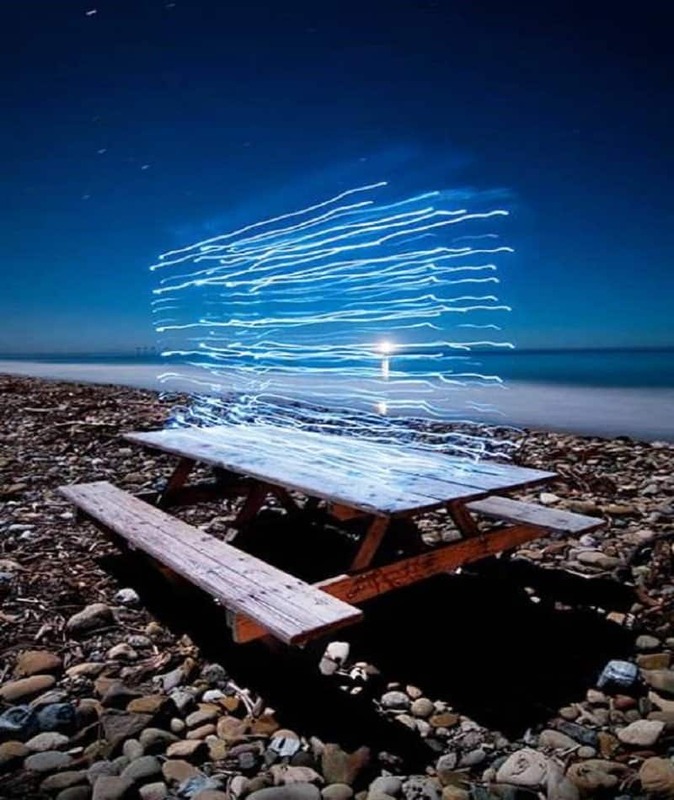 This beautiful and intricate light painting makes it look like slabs of light have been placed on a table. Ever wanted to control light and energy? 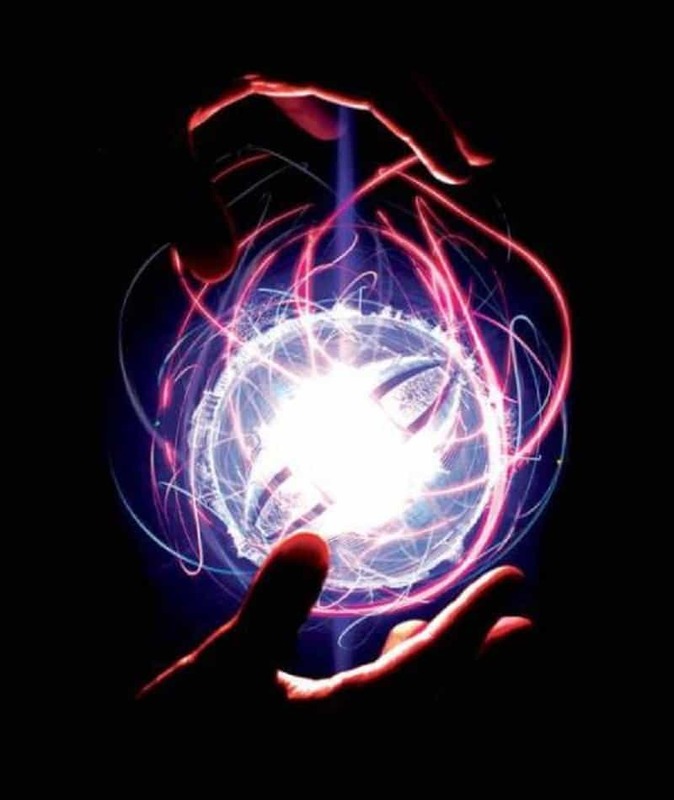 This light painting makes it look like this person is manipulating energy in his hands. 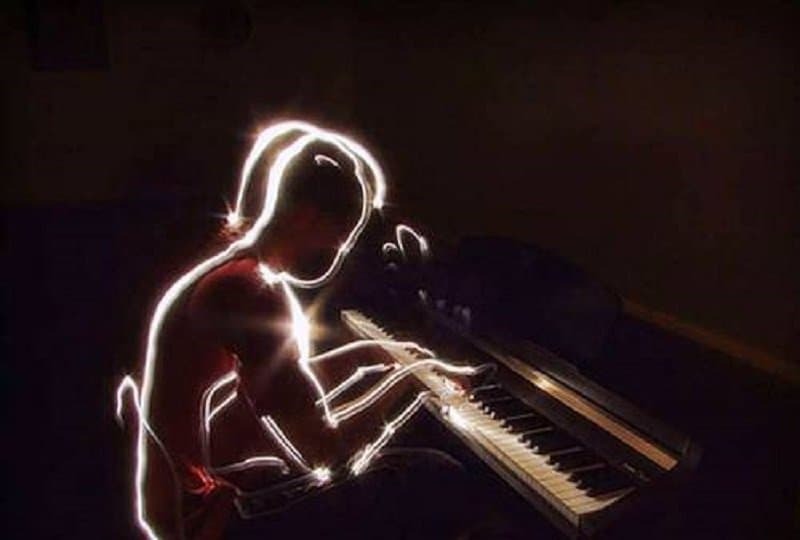 Playing the piano is hard enough without being made of light. 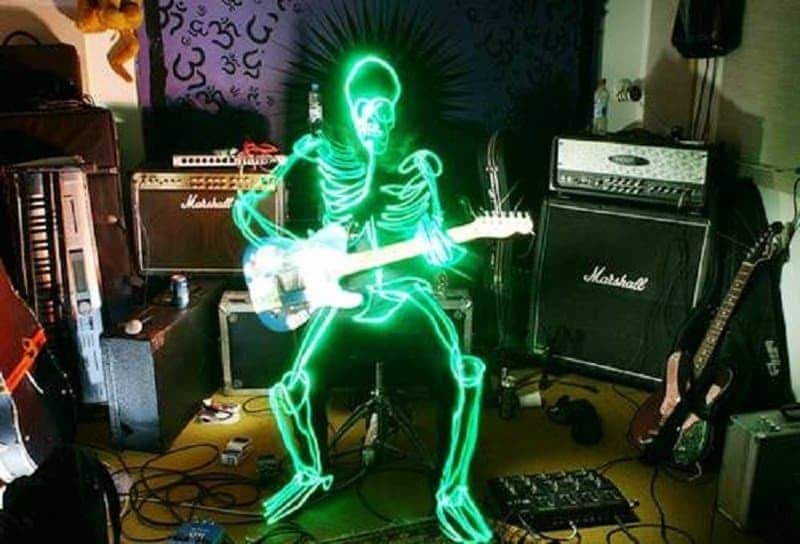 This man appears to be in the middle of his very own light show.